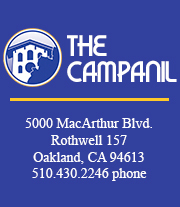 Several Mills College students have told The Campanil they had unpleasant experiences with the room draw process this year. Not only have residential students complained about not being able to live next to their friends and not getting their first choice of dorms, but they have said the way the room draw process was organized was flawed. Students said new rules implemented this year are confusing and make it more difficult to obtain their preferred rooms. One example is that if a student wants a double room and pulls up another person with a lower lottery number, the two must room together, or beside each other. Before this year, she could choose whichever room she liked. There are reasons for this new rule, presumably to prevent people pulling up those they have no association with, which would possibly make them room with someone they didn’t know. According to some students these changes were not well publicized. Residential Life should make sure students are aware of the process before they have to choose their rooms and not rely on students reading the fine print in the housing manual. In addition, the number of rooms set aside with special characteristics have exceeded demand. Resumer, substance-free and 24-hour quiet areas are indeed important, but some students said several groups of friends who wanted to remain together ended up signing up for the 24-hour quiet hall even though, as a group, they originally had little intention of remaining quiet all the time. A similar outcome happened with the substance-free hallway. While living completely substance-free is an admirable thing that like-minded students should support, students who do not align themselves with living such a lifestyle will be rooming in this hall because it was one of the only options left. And if some students do indeed want to live in a round-the-clock quiet space, living with students who don’t plan to adhere to that will render the space’s designation useless. Doesn’t it defeat the purpose of a specified living area when students who don’t plan on maintaining that standard live there? The real issue is not that Mills offers students such options in its on-campus living spaces. There are students who want a quiet place to live free from loud music blaring in the middle of the night. Mills should have done more to gauge the level to which students were interested in such accommodations before the room draw process began. E-mailing a survey to students or setting up a booth in the plaza to survey students may have been an option. In the end, although some Mills students found the process far from perfect, there is one thing they can count on: Unlike most public universities and even other private institutions, the College guarantees housing to all enrolled students. And while most dorms at other schools are very tiny and house two or three students, the majority of units at Mills are single rooms.